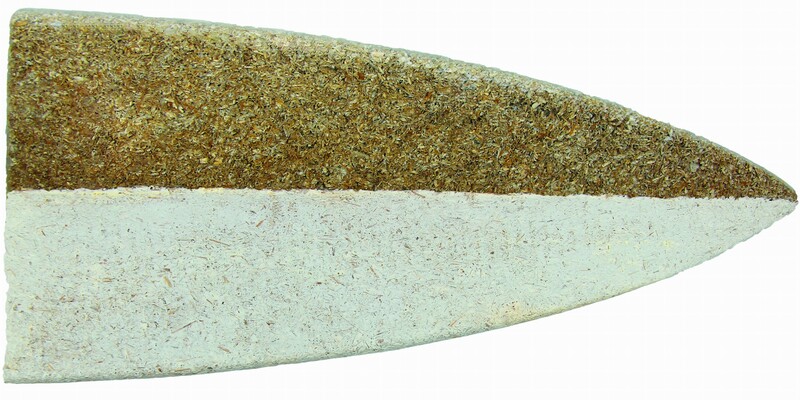 At Ecovative, we’ve always wanted to grow sustainable surfboard cores from our foam replacement. This application started as a personal project for Gavin, one of Ecovative’s co-founders; growing up surfing on Long Island, he’s had, since some of the earliest days of the company, a desire to create a Mushroom® Surfboard. We tried (and, despite what Gavin may sentimentally recall, failed miserably) a few times throughout the years; but in late 2013, we had learned a lot about growing biocomposites and we felt confident we could give it another shot. Having really never successfully grown something this large, it was a formidable task, but Gavin and I slowly began determining a way to adapt our expertise in packaging to water sports. 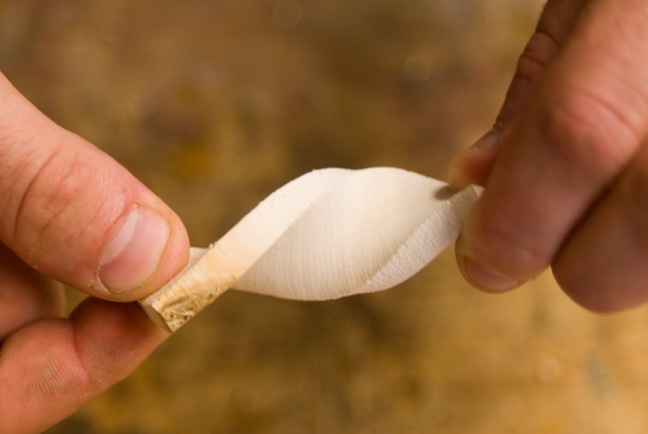 Surfboard cores are typically shaped or molded from expanded polystyrene (EPS) or polyurethane (PU) foam. These materials, derived from petrochemicals, are not only unnatural, but blatantly harmful to the environment--ultimately persisting in a landfill for hundreds of thousands of generations to come. 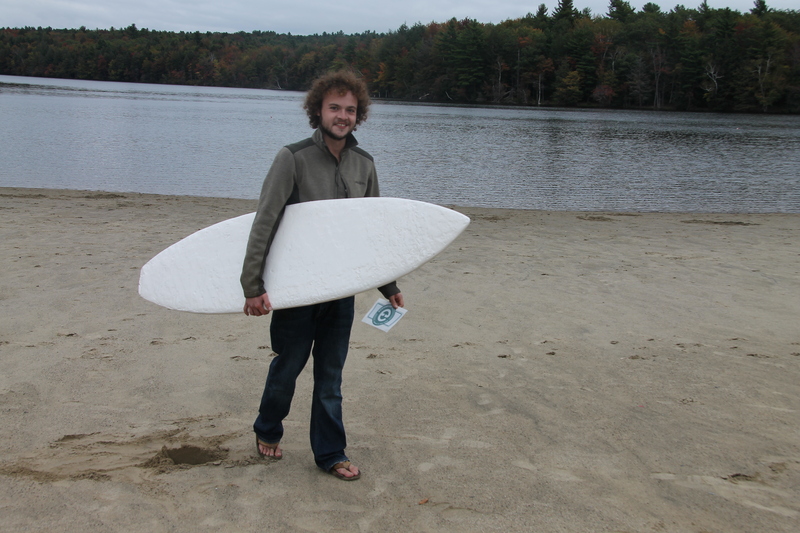 Rather than contributing to the already widespread pollution of our beaches and water by using traditional blank materials, Ecovative’s goal was to enable people to make blanks from renewable materials that would degrade when the unfortunate snapped leash, or worse, a broken board occurred. Our first challenge was simply how to grow a blank. From our experience in packaging and our initial inquiries into engineered wood replacements, we knew our material either shaped well and was dense, or grew to a lightweight material, but had to be grown to shape. Incredibly dense boards were quickly ruled out as an option, so we had to figure out a way to make a 6 foot blank on our 3 foot thermoformer, when we had never grown anything larger than 18 square inches. The solution was to take one of Gavin’s old boards, cut it into manageable quadrants (that had but centimeters of space to spare on the thermoformer), and create the tools from each section that would be filled with our material. After a few days of growth, we placed the four sections snugly against each other and let them grow together into a solid board (mushroom mycelium has the amazing ability to graft itself flawlessly with other specimens of the same strain; allowing us to “glue” living pieces together). This blank was then coated with Entropy Resin to render it seaworthy. While admittedly rough, the first few prototypes we grew were a fulfilling proof of concept. In September that year, we took them to The Boardroom Show and received some fantastic feedback while creating a ton of interest and fostering some great partnerships with early adopters. Coming back from this show, we were extremely motivated and began exploring different ways to grow boards that would lower densities, while also smoothly incorporating the product into our manufacturing line. Over the course of about a year, we were finally able to, with some trial and error, reproducibly grow a medium-density surfboard blank. One drawback to the blend we developed is that this material could not be traditionally shaped, something important for the creation of boards. This meant, if we ever were to scale in-house, that we had to devote massive amounts of our limited warehouse space to grow many different shapes, in many different sizes, then ship them all over the world to be processed and then shipped to a store or the end-user. Our goal at Ecovative has always been not only to displace as many plastic foam and other synthetic materials as possible, but to show truly sustainable products can also be economical. Given this, and the fact that we are a small company focused on a number of other major projects (displacing plastic packaging and eliminating the Urea-Formaldehyde glues used in the wood industry) we shifted away from dedicating additional resources to growing individual blanks in-house, and instead decided to focus our research on our strength: growing a robust raw material with innumerable possibilities. This led to the launch of a Grow It Yourself platform where we enable the people who know how to make their products best, in this case shapers, to grow their own items by providing the raw material and technical knowledge. We’re calling this GIY and it allows anyone to grow anything from a surfboard to a lamp. A surf company in California called Surf Organics has been the pilot for this platform. They started growing Mushroom Surfboards and, after some rocky initial development, have recently had awesome success. Check out their boards and watch their video. In the meantime, we’re excited to share our material with those trying to make the world a more environmentally friendly place. We have been thrilled with the interest and enthusiasm and hope this translates into some awesome products for the industry!